If your older adult is behaving oddly or showing signs of cognitive impairment, like memory or judgement problems, you might wonder if it’s part of normal aging or if they could have Alzheimer’s or dementia. Nobody wants to admit that someone they care about could have such a devastating condition. And even though you’re worried, you might think it’s useless to get a diagnosis because there’s no cure. But ignoring what’s happening isn’t going to make it go away. We share 5 important reasons why a complete medical exam and proper diagnosis of their symptoms will improve your older adult’s quality of life. Signs of memory or cognitive issues don’t always mean someone has Alzheimer’s or dementia. There are many treatable health conditions that cause dementia-like symptoms, like UTI, normal pressure hydrocephalus, hospital-induced delirium, or medication side effects. If your older adult doesn’t see their doctor for a full physical exam, they won’t know what’s causing their symptoms. Nobody should have to lose quality of life because of a condition that could be treated. An early diagnosis of Alzheimer’s or detection of dementia means that treatment can begin right away. Medications and lifestyle changes are often more effective in the early stages and can reduce or delay the onset of more severe symptoms. Getting a specific diagnosis gives your older adult control over their own future. 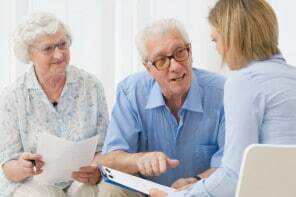 While they have good cognitive function, they can make key decisions about their future care and finances, like choosing someone to be power of attorney and signing essential legal documents. They’ll also be able to share their end-of-life wishes. That way, you and the rest of the family won’t have to guess, fret, or argue about what you think they would want when that time comes. With an early diagnosis of Alzheimer’s or dementia, older adults will still have time to work on their “bucket list” items, fulfilling lifelong dreams while they still can. When you don’t know what’s causing troubling behaviors and symptoms, it’s tough to find support and resources to deal with what’s happening. With a specific diagnosis, you’ll be able to find the information you need to understand and manage day-to-day challenges. It’s scary to admit that your older adult might have a serious health condition like Alzheimer’s or dementia. But facing it head-on and getting a diagnosis allows seniors to quickly regain their lives if it’s a treatable medical condition. If their condition does turn out to be Alzheimer’s or dementia, getting a specific diagnosis as early as possible gives everyone time to plan for the future and find support. I’m a 57 year-old male who suffered 2 major accidents, the first accident I was working for the Defense Dept. and broke my back, herniated 2 disc and dislocated my shoulder. I had back surgery (twice) but my pain became worse. While waiting for test results (I spent more time waiting for the Dept. of Labor to review and approve test and procedures it was painfully slow and depressing) Someone forgot that all I wanted to do was go back to work and live a normal life. I had a 3rd surgery in 2008 a two level spinal fusion. I did all the latest therapy but I lost feeling in my leg. I lost my balance and fell, suffered a TBI, 8 days in a coma, 63 in rehab learning to walk again. So my goal when I was injured at a young 30 years-old, my goal to return to work, I just bought a house and my second just turned 1, was totally changed. I didn’t quit. I went back to school and earned a degree in Computer Science and worked 15 more years before my injuries got the best of me. 57 and forget simple things, have trouble getting dressed some days and have trouble walking.. I’ll never play with my grandson like I want to. Never be able to jog. I guess my only option is live me life in serious pain. So I saw the Amazon Echo being used for reminders. maybe I’ll skip eating for a week and see if I can afford one, or maybe some mega-billion dollar company can help. A person should not feel this bad at 57. You may also benefit from talking with people who understand what you’ve been going through, to hear others’ stories, and to find out about helpful resources. Being able to share your story with others also relieves stress and any feelings of isolation. To find in person groups for TBI, check this site http://www.brainline.org/resources/index.php and call the local organizations to ask about their support groups. Online groups are also a great source of support. Here are a couple you may want to check out: https://www.facebook.com/Traumatic-Brain-Injury-Support-Group-180684948672011/ & https://www.facebook.com/groups/343140855818138/ (closed group, just request to join) & http://www.bcftbi.org/tbi-resources/support-groups.asp (other in-person and online resources).